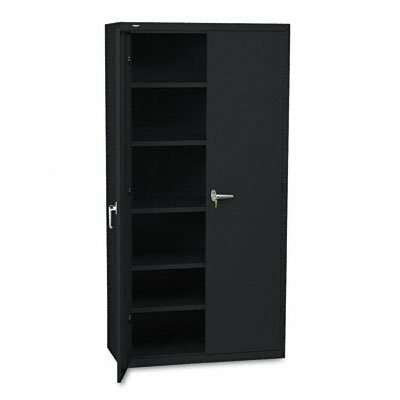 Brigade storage cabinets from HON hold up to your expectations. When you need a storage solution that will adapt to your needs, this rugged, five-shelf storage cabinet is a great option. A reinforced perimeter-welded case stands up to heavy use. All shelves are adjustable to accommodate your storage requirements. Two Chrome handles, one fixed and one locking, provide extra security, and the locking system can be replaced as needed. Shelves can be adjusted in 2" increments. Lock is standard. If you have any questions about this product by HON, contact us by completing and submitting the form below. If you are looking for a specif part number, please include it with your message.